How to eliminate the signs of flap discs on stainless steel with a single pass? During the first stages of processing, stainless steel is subjected to mechanical actions that can leave marks and scratches on the surface . 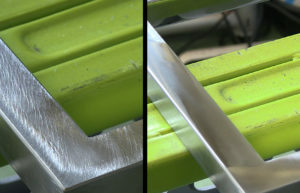 To obtain a shiny and homogeneous surface it is normally necessary to subject the treated piece to several passages, but thanks to Rosver’s CWA disc it is possible to obtain a surface with an excellent finish with a single disc and a single pass . 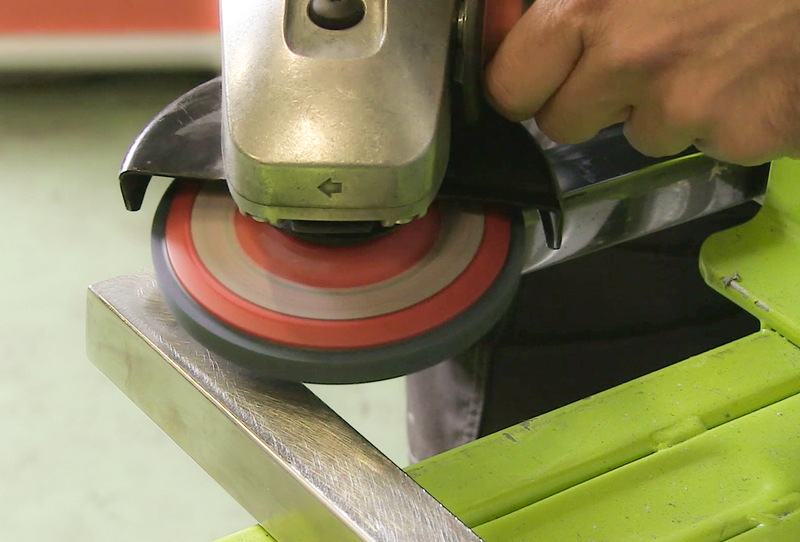 The CWA disc allows you to remove the marks of previous work in a single step and with an excellent finish . The surface of the disc is composed of compressed abrasive (unitized) in non-woven fabric thanks to which it is possible to remove the marks of previous abrasion processes, small oxidations and browning due to welding. Furthermore, the ventilated backing pad with air intakes favors the dispersion of heat and poor from the piece being worked. Thanks to the CWA INOX COOL disc it is possible to obtain a uniform finish without scratches. 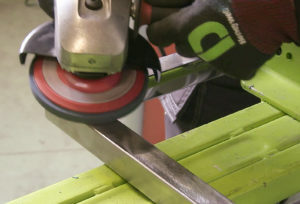 To use the CWA abrasive, an angle grinder is required . Assembly is ensured by an M14 thread , so the fixing ring is not necessary. 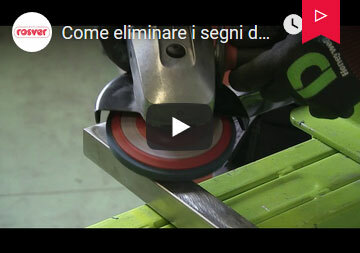 It is recommended to install it on angle grinders with speed control, like our 115mm SME Fast Grinder grinder. The disc shown in video, in 3SF grit, has a compact grain, medium hardness and excellent durability . Suitable for the glossy finish of INOX , masking and light deburring of welding residues. Also excellent for cleaning light oxidations. It is also available in other grits: finer and softer (2SF and 2SSF), or with coarser and harder grit (6SM and 8AC) for heavier abrasion operations: welds removal, deburring, deep scratch masking. Rosver Abrasivi fornisce prodotti abrasivi in Italia e all’estero da più di 57 anni. Ci impegniamo per dare ai nostri clienti le soluzioni congeniali ai loro bisogni. Copyright © 2019 Rosver SRL. All rights reserved.